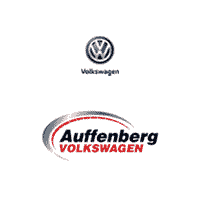 Discover the very best in German engineering at Auffenberg Volkswagen in O'Fallon, 1708 New Car Drive, IL! Our dealership serves up quality Volkswagen cars, SUVs and wagons for the Midwest and beyond, including the iconic Beetle. There’s no better place to start than with our stunning Volkswagen Atlas, a full-size SUV ideal for the entire family. Looking for a quick commuter to get around St. Louis, Missouri? The Volkswagen Golf GTI is a speedy sedan with unmatched style. Finally there’s the Volkswagen Golf Alltrack, an all-wheel-drive wagon capable of navigating you through back roads and less than ideal weather in total comfort and security. Get behind the wheel today by visiting our 1708 New Car Drive, IL Volkswagen dealership!At Auffenberg Volkswagen in 1708 New Car Drive, IL we’re committed to getting you into a vehicle you love at a price you can afford. Our sales team will help you find a vehicle to fit your lifestyle, while our financing team promises to work with you and your credit history to secure an auto loan that won’t break the bank. Wondering what the best way is to get started? Give us a call or schedule a test drive with one of our friendly and knowledgeable sales professionals! Auffenberg Volkswagen is also home to a state-of-the-art service department, one certified and seasoned in all things Volkswagen. Whether you’re looking for a routine tire or oil change, or are in need of serious engine work, transmission replacement or a brake fix, our automotive technicians are here to help. Reach out to our team in 1708 New Car Drive, IL to set up your first maintenance appointment!